We have over 50 students registered and arriving to practice and learn english. We can always use you as a tutor. All you need to do is know how to speak English. We will be sharing a progressive curriculum through an experienced ESL instructor and you will spend time with some spanish speakers. If you are interested, contact, Rev. Kathleen Stone at kathwucc@gmail.com For those already registered as tutors, please click the button below to fill out the registration form so that we know who is coming when. Thank You! Family Fun! 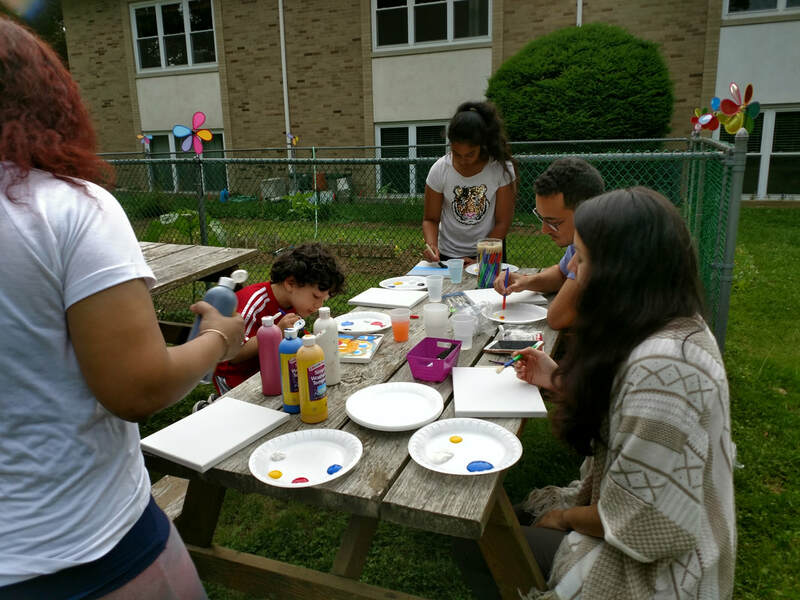 Every 2nd Monday of the month after school we partner with Family Success of Morris County to bring a family activity and afterschool defuse time for young children! All invited! YOUTH: Come hang out and talk about stuff that matters. Call Pastor Kath if you wish to join. May 8th, 2019 3:00-8:00 p.m.
Optical Academy along with Zufall and some other health providers will be with us on May 8th from 3:00 p.m. - 8:00 p.m. Register for low cost optical exam and eye glasses NOW! Clases de Inglés como Segundo Idioma (ESL) Las clases comienzan en miércoles 10 de Abril. Las clases serán los miércoles de 6:30 a 7:30 p.m. y los sábados de 8:00 a 9:30 a.m.
Usted puede participar un solo día o los dos días. We see worship as a time to reaffirm the deep and powerful message about the unconditional Love of God within our community. We see Sunday as a time to challenge ourselves as we respond to such a Love. Every Sunday 8:00-8:30 a.m. Simple, meditative communion service. 12:00 Noon Cross Walk beginning at Washington Pond. (about one mile walk) with readings along the way. 10:30 a.m. Easter Sunday Communion! Our Post Easter Series, including Pastor's bible study at 9:15 a.m. and Worship at 8:00 and 10:30 will explore the topic of joy. Come be with us. Click the "photos" link above, or the Flickr picture below to visit our Flickr Page!